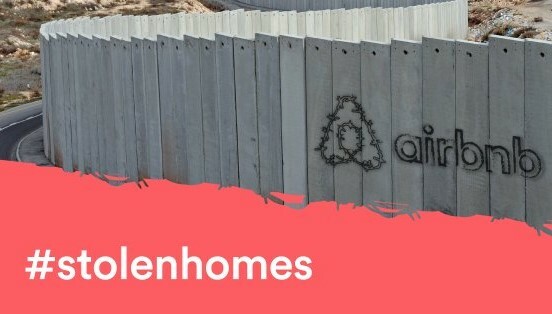 Online booking giants Airbnb, Booking.com, Expedia and TripAdvisor are fueling human rights violations against Palestinians by listing hundreds of rooms and activities in Israeli settlements on occupied Palestinian land, including East Jerusalem, Amnesty International said yesterday (Tuesday). In a new report, “Destination: Occupation”, the organization documents how online booking companies are driving tourism to illegal Israeli settlements and contributing to their existence and expansion. One of the settlements included in Amnesty International’s report is Kfar Adumim, a growing tourism hub located less than two kilometers from the Bedouin village of Khan al-Ahmar, for which Israel’s Supreme Court has given the green light for its imminent and complete demolition by Israeli forces. The expansion of Kfar Adumim and other surrounding settlements is a key driver of human rights violations against the local Arab-Bedouin community. “Israel’s unlawful seizure of Palestinian land and expansion of settlements perpetuates immense suffering, pushing Palestinians out of their homes, destroying their livelihoods and depriving them of basics necessities like drinking water. Airbnb, Booking.com, Expedia and TripAdvisor model themselves on the idea of sharing and mutual trust, yet they are contributing to these human rights violations by doing business in the settlements,” said Seema Joshi, Amnesty International’s Director of Global Thematic Issues.